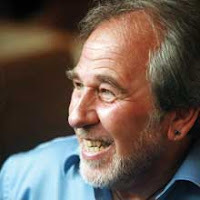 The Biology Of Perception is the first in a two part series with Dr. Bruce Lipton & Rob Williams of PSYCH-K ... re-iterating the fact that genes do NOT control our biology, that's an assumption made years ago that was never even proven scientifically - it just seemed so correct that we bought the story ... if the mechanism actually worked according to the textbooks, i.e. if the genes control biology, then at least 120,000 genes would be required to make a human, but when the human genome projects results were in, ... it was discovered that 2/3rds of the genes (needed to support their model) were missing. Its not that the genes were missing, it was the understanding that was wrong.
" We have to come to a new way of understanding biology. This 'new' understanding has actually already been in the leading edge of science for 10 years now. It takes at least 10 or 15 years for science to take a fact from its first inception and get it out into the public so that the people can understand it. That means anything in current textbooks is at least 10 or 15 years old. what your going to hear tonight is whats going to be the future textbooks. "